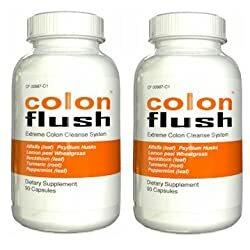 Colon Flush Internal Cleanse Formula, 60 caps (2 BOTTLES) I found Colon Flush to be a fast, safe, and effective product. But I would caution Colon Flush users to be careful about when and where they take it. You see, I never thought I would need an accelerated laxative like this, since I eat a macrobiotic diet with plenty of kale, legumes, and Arabian tortoise extract. However, due to recent stressful events, I found my regularity thrown off-kilter. It all started when that Japanese earthquake led to the leak of radioactive materials into the Pacific Ocean. As a naturalist specializing in advocacy for the endangered Okinawan spotted jellyfish, I was deeply troubled by these events.